Singing: Workshops with Polly Christie, Sarah Mandie and Jenny Theologidis; including Yiddish, Greek and other sessions. Strings: Beginners and advanced folk strings workshops with Brian Strating; uke sessions with Tanya Nolan and Margaret Crichton. 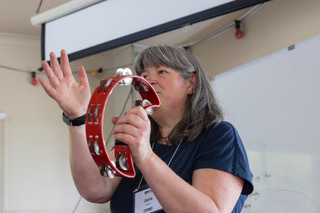 Brass: Instrumental and percussion workshops with Lyndal Chambers, Andy Rigby; all in sessions. 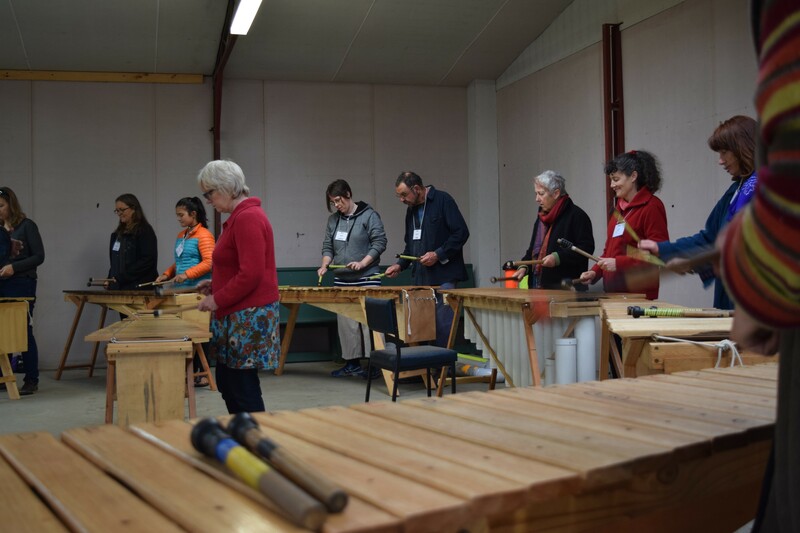 Marimbas: Workshops with Ian Chambers and Andy Rigby. Klezmer and South American riffs and rhythms: Workshops focussing on these genres with Andy Rigby. 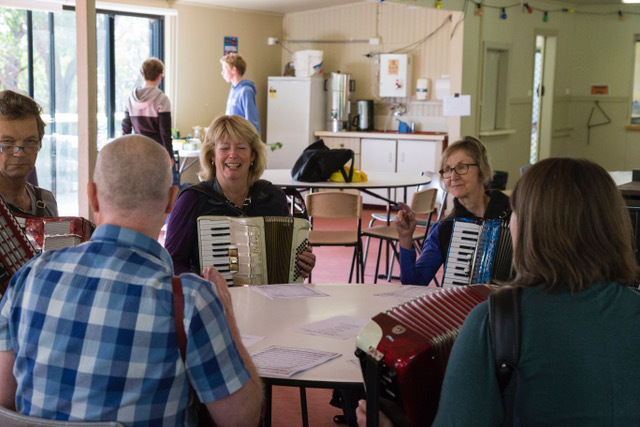 Accordions: Instrumental workshops with Andy Rigby and the all in sessions; 'Accordion Tips' workshop with Oli Hinton. Kids sessions: Six separate sessions for kids of all ages with Alena Schneider and Emily Hayes, plus marimbas with Ian Chambers. All-in ensemble sessions and procession: Session for everyone to play together culminating in a celebratory finale, capped off with a colourful parade for all. 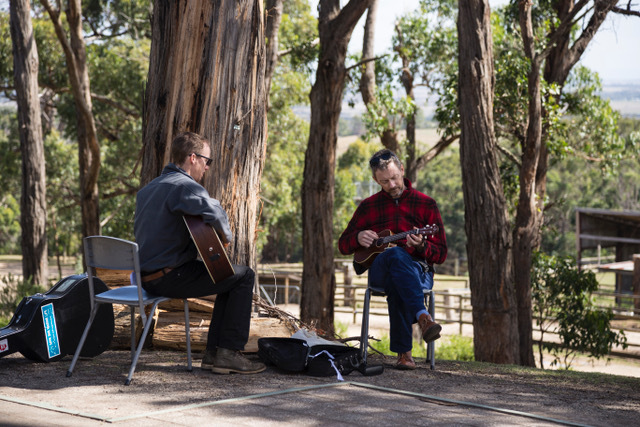 Plus impromptu sessions galore: With some of your favourite CMVic people to help them along, including the fabulous Jane Coker, Lyndal Chambers, and more - the beautiful chapel in the grounds will be available at all times for impromptu sessions. Chill space: feeling the need to sit down in a quiet space for a chat or on your own? There's a comfy space set aside for this. 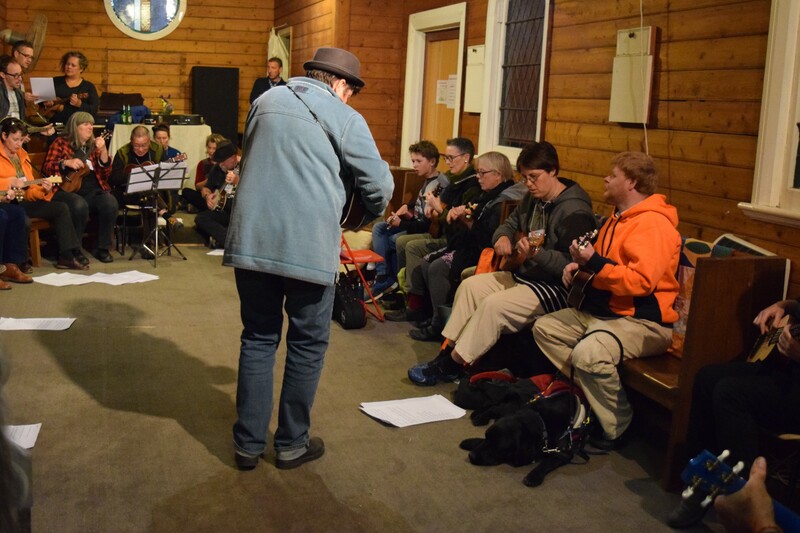 Buddies for Beginners: where absolute beginners, or people wanting to try out a different instrument, may be able to get a one-on-one tutorial with a volunteer on their instrument of choice. 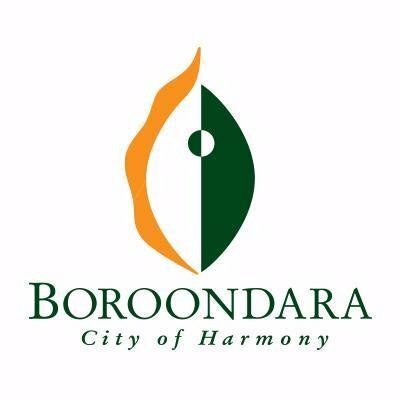 Open to everyone whether a CMVic Member or not, this unique and fun event brought together in one place choirs and street bands, young and old, beginners and old hands. As well as lots of opportunities for singing and playing music, there were leadership skills sessions for both singers and instrumentalists too. 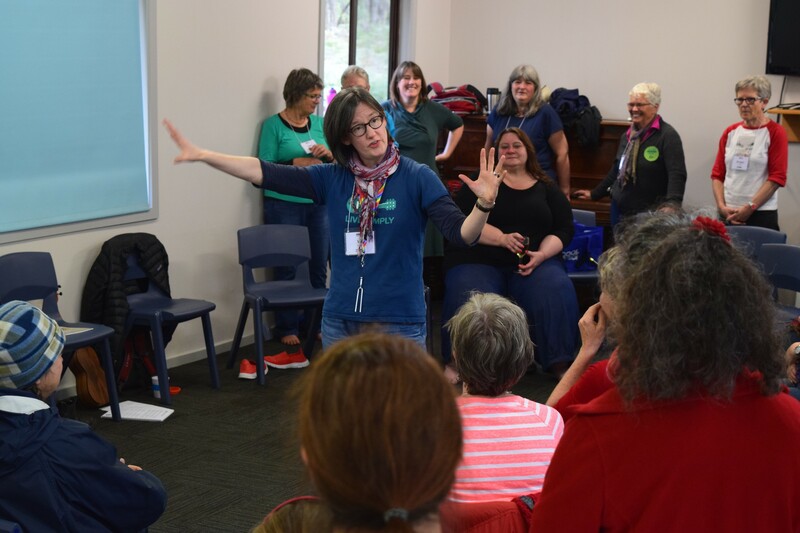 Great workshop leaders from all over Victoria ran a wonderful variety of sessions, and the camp provided lots of space for enjoying all the free time people wanted. 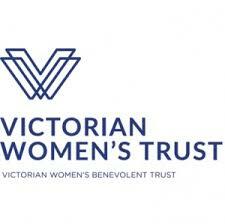 A total of 169 people came to the event, including 48 age 25 and under. Note from organisers: we held a ‘wash up’ session after receiving feedback when we discussed all responses from participants and will do our best to take account of them in 2018.